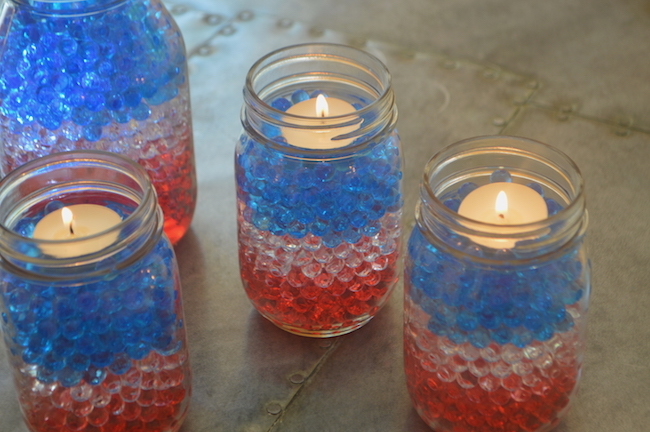 using different-sized mason jars, red, white (clear) and blue gel beads, candles and LED lights. 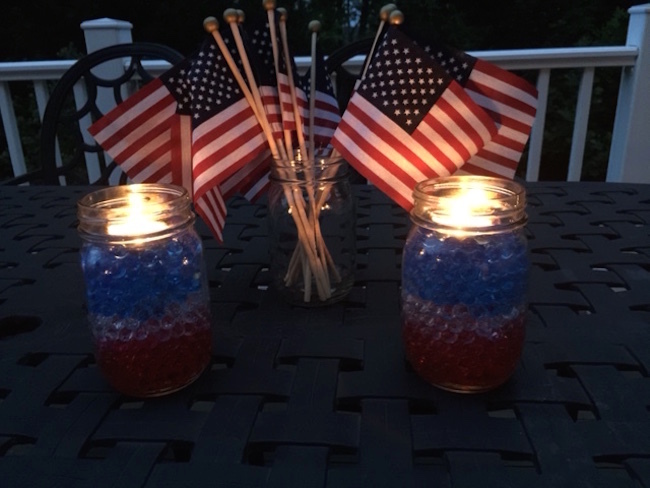 Red, white and blue candles and centerpieces are perfect for any July 4th celebration. 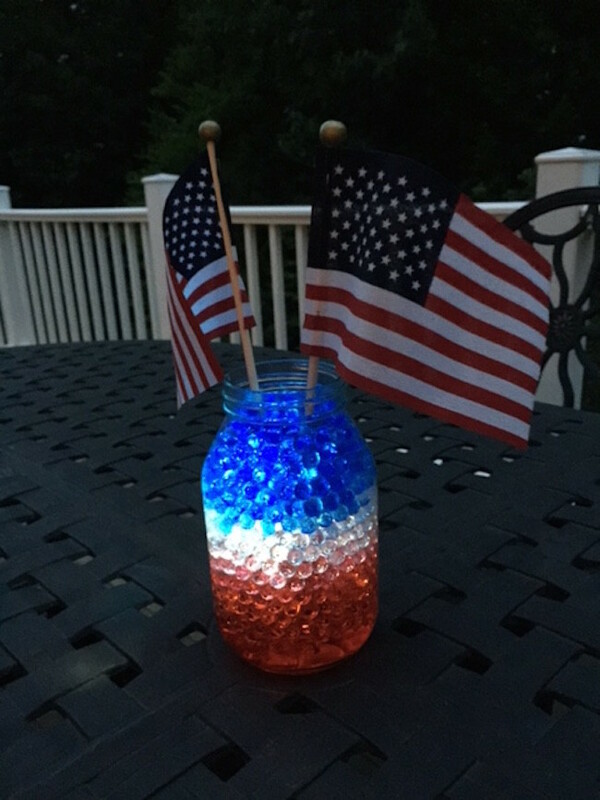 or a submerged LED light. Step 2: Place on table and enjoy! 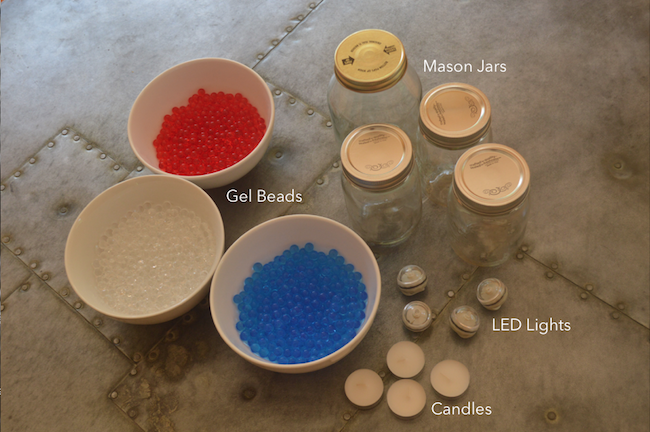 I was wondering if the tea lights get hot enough that they melt the gel beads or are they fine. 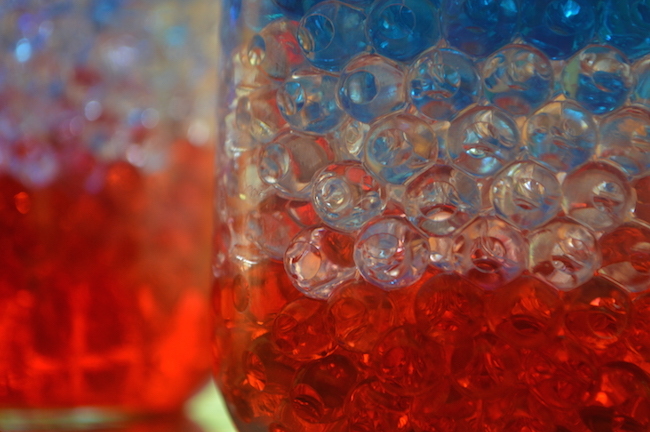 Also, will they last longer if you cover them when not using them and do you know how long the beads will last before shrinking or dehydrating?